A couple of days ago, 9to5Mac reported that banners for iOS 6 have gone up at Moscone West. 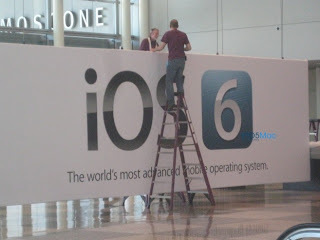 The banners include a new logo for iOS, as well as the slogan: "The world's most advanced mobile operating system." I can't wait to see what Apple has planned for iOS 6 as well as everything else due to be released/previewed this Monday!